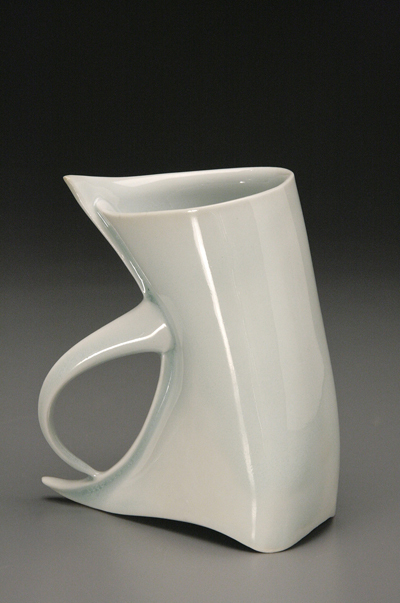 I work with porcelain, a wonderfully rich clay with beautiful surface qualities. It is defined by its extreme durability and distinctive smooth white color. 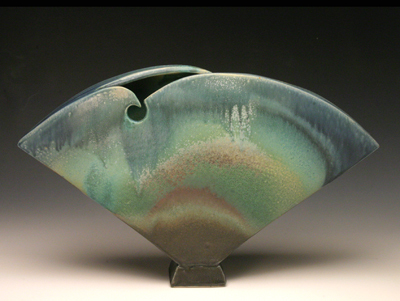 I have been making pots for more than 30 years and I now work with both functional pots and other more sculptural forms. 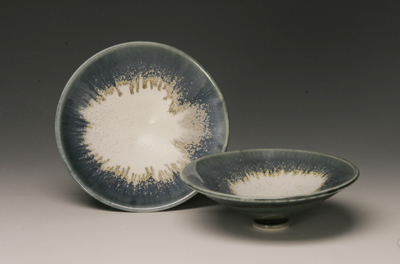 In all my work, I use glazes which exemplify the stunning depth and brilliance that is unique to high temperature porcelain. I work to develop a calligraphic or gestural sense of line in the details of the surface, form, and edges. Combining all these with my affinity toward form and detail, I am working to create a blend of sophistication, beauty, and a touch of intimacy in my work. 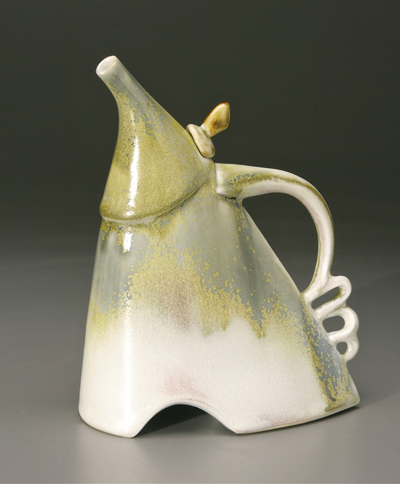 I want to make pots that speak, meaning they have a strong visual and sensual impact, telling you what they are. It is that sometimes in the subtle way they suggest how to be used, the simple nuance of their form, I work to make this happen in the perfect 'fit' of a beautiful cup in you hand. It is also, in the pleasure of using well made, carefully designed, and wonderfully glazed pots of many types - bowls, trays, and platter. 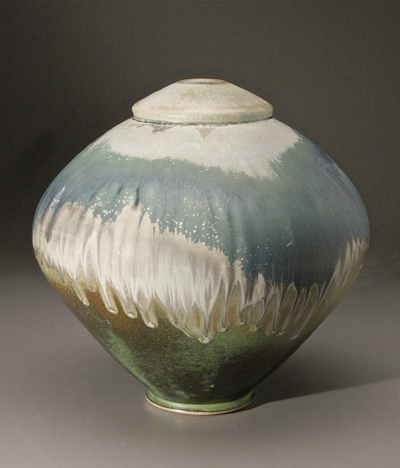 I work with a wide range of forms and also make many pots that stretch beyond functional limits. they are more personal forms in which I develop a sense of movement and gesture or a playful attitude that brings the pot to life. 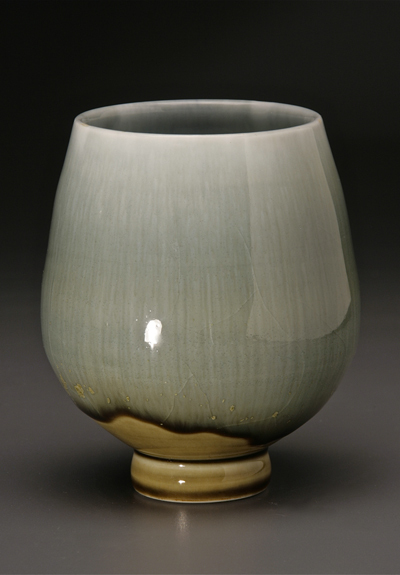 This is seen in my small intimate Fleet Cups which seem ready to march forward, as well as my large bold Landscape Vases, made with strong flowing surface detail, form and line. 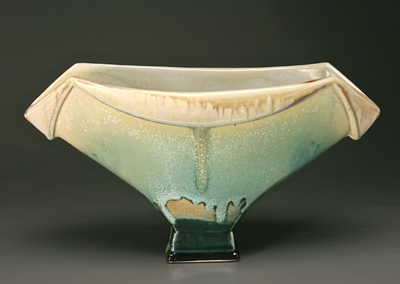 I believe in the passion and love of making pots, I am always striving to make that ever elusive perfect "pot in the sky" that hits all the right chords in the right way. This doesn't describe the pots that I make but its about the way that I work - the continuum of always making more pots and embracing new ideas. 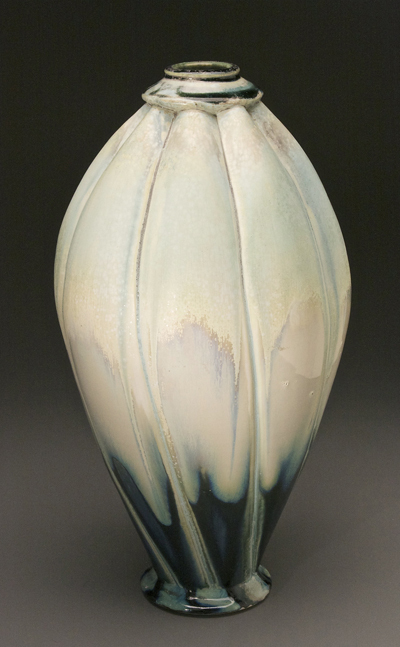 I strive to make pots that are beautiful and a pleasure to use, forms that bold and well balanced, and always a body of work that brings grace, elegance, and delight into our lives.